Birgitta has 22 cats in her back yard. They would have been killed if she hadn't rescued them. Anders puts his Sphynx in a dress. Grålis the cat gets fed every day – but has never known a human being. 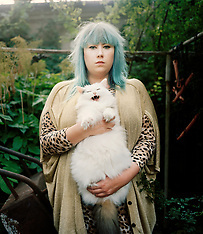 Katt People is a photographic book, and exhibition, that explores the relationship between cats and people. It’s a bond that is intense and heartfelt, but also complex and unequal. 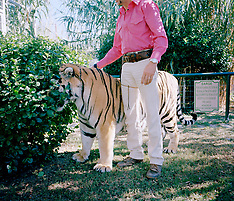 It is said that there are more tigers in captivity in Texas than are left in the wild. While the regulations for having wild animals as pets have become more strict in recent years, it is still easy to get a big cat in the south of USA. Wild tigers are likely to be extinct in the next decade. Does their future lay as pets in Texas? 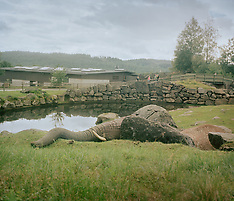 Every year 700 million people visit a zoo worldwide. 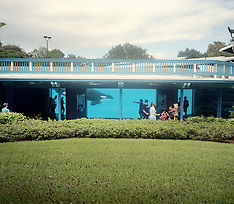 We stand in front of each enclosure for 46 seconds. By arranging nature according to our own desires, we distance ourselves from what we crave – the wild. Zoo World illuminates our unrequited love for animals and questions our self-imposed role as masters of the world.